Safi Qurashi a British businessman serving a disputed 7 year sentence was taken to Dubai Police Hospital. His sister in Dubai received a call today from prison inmates stating that he had collapsed. They said he had been experiencing breathing difficulties and chest pain for the last few days. Qurashi is over 40 days into a hunger strike & has lost a lot of weight; he is diabetic. The prison cellmate said that he has been taken to the Police HQ clinic as medical staff said that he had an irregular heartbeat. Family members are anxiously waiting for more news. Dubai’s Attorney General – Essam Al Humaidan and Advocate General Khalifa Bin Deemas have been reviewing Qurashi’s case over the last month. Family members are due to meet them next week to discuss the situation and are hoping to secure Safi’s immediate release. How does it feel to be locked up for decades for a crime you never committed? What happens to the lives of the family you leave behind who have to then fend for themselves? What do you do if no one is interested in the evidence which would prove your innocence? What if your sentence is so long that your only way out is in a box? This is a grave reality for British nationals Safi Qurashi & Peter Margetts who are amongst approx 20 Foreign Expats (US citizen Zack Shahin) currently on a Hunger strike in Dubai’s Central Jail in protest over the fact that they are being denied access to justice. They are risking their own lives so others do not suffer. For some of them it has been over a month and the signs of danger are showing especially for those already suffering from illnesses such as Blood pressure and Diabetes. Radha Stirling and colleague join foreigners convicted of financial crimes without the ability to present a legal defence. UAE convicts Safi Qarashi, Peter Margetts, Christopher Renehan, Zack Shahin and Olivier Loeb are amongst the many prisoners hunger striking in UAE prisons. They are protesting the injustices of the legal system when dealing particularly with financial crimes. Even where the evidence clearly proves innocence, prosecutions are still successful and sentences extremely lengthy in comparison to international standards. In cases where a security cheque is wrongfully presented and even where it is post dated, the circumstances are not taken into consideration by the Courts and one will be automatically issued with a lengthy prison sentence of three years per cheque. In many cases, this has amounted to an effective life sentence. In most other countries, these matters would be considered by civil courts and would not be criminalised. We are now encouraging the UAE to seriously review the laws in relation to bounced cheques particularly but also to review the criminal law procedures overall so that it eventually becomes possible to encounter a fair trial whereby actual evidence is properly considered by the Courts. 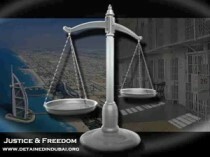 We are therefore supporting all prisoners in the UAE who are presently on hunger strike by submitting to it ourselves. We hope that the severity of the hunger strikes proves enough incentive to review the laws in relation to bounced cheques and other financial crimes. A girl whose property developer dad is in Dubai Central Prison for bouncing cheques has expanded her campaign to free her father to help kids whose parents are in Dubai’s jail for financial crimes. Thirteen-year-old Sara Qurashi’s millionaire father Safi was jailed two years ago after, he claims, clients misused security cheques he’d written. Despite claiming to have paid off the money Qurashi, CEO of Premier Real Estate in Dubai, which bought the UK and Moscow islands on The World development, remains incarcerated until a civil appeal is resolved. Sara has now dedicated her website justiceformydad.com to the children of other prisoners. 5. Law says you are allowed to protect yourself against a thief. arrested, because of Law Number 1 whereas all other laws are ignored. witnesses and never once questioned the thief if his story was true. Imagine the thief getting away with his crime and stealing your belongings and you get sentenced to 7 years in prison! that my cheques are not bounced cheques!!!!! from me and let him get away and then I should have called the police! prevention or has crime prevention become a crime in itself? How can so many laws be ignored to uphold 1 law? How can crucial evidence be ignored? How can an obvious criminal act be ignored? How can perjury not be a crime? Why was my judicial process so one sided? has labeled me a criminal? invalid, but no-one wants to listen because apparently it’s too late! Authorities will investigate and bring the real criminals to the stand. representatives and question the complainants. Dubai is a beautiful Emirate and it has achieved so much. they have gotten away clean and free! which is governed by one of the greatest visionary Rulers! 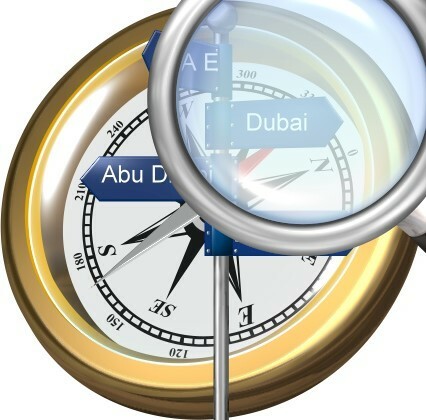 Safi Qurashi was a successful property developer.Until he was convicted of bouncing $80 million in checks by a court in Dubai and was sentenced to seven years in jail recently. Now he’s begging Queen Elizabeth to save him, the Evening Standard reports. Queen Elizabeth arrived in the UAE yesterday on a state visit, and Qurashi wants her to save him, since she happens to be in town. My life took a dramatic turn on Friday 15th January 2010, when two plain clothed officers arrested me for bouncing a cheque and took me to CID headquarters. I was held for eight hours in a cell… No phone calls. No lawyer.There I was kept handcuffed to a chair for another 8 hours. No-one spoke English. I was asked two questions: myname and whether I signed two cheques. When I answered yes, I was sent to Port Rashid jail at 4am. I got a new lawyer who spent five minuteswith me. When I said surely he needed input from me, he responded “thisis not England, we do things our way”… There were two hearings eachone a minute long. Two questions were asked and I was sentenced: a seven year jail term. I realized that the judge had neither read nor reviewed any of the evidence. He did not establish whether I actually broke the law. A cheque bounced. Nothing else was considered. Qurashi says his family, who he moved to Dubai from London six years ago, are suffering “mental torture” because of his imprisonment.